Giveaways are a great tool which can help to generate more traffic and increase brand awareness whilst at an exhibition or trade show. Not only do they improve brand awareness they will leave a positive impression on your stand visitors and can help to build lasting professional relationships, and not to mention increase profits. There are some things to consider when deciding on what giveaway you will take with you. You need to remember that the item you are giving away represents your brand, it needs to make a lasting impression and it also needs to have some use to it. There is no benefit in giving something that will end up in the bin as soon as the visitors leave your stand. You also need to consider a budget and most importantly stick to it. Exhibiting in most cases is a great expense to any business and the reason for any company to exhibit is to generate more business contacts, leads and sales opportunities so a return on your investment is a must! Therefore you need to carefully decide on a budget by factoring in all you need and then ensure you are strict enough not to go over it. Giveaways can attract your target market to your exhibit, especially if used in the right way. Ideally in your pre-show marketing you should mention your giveaways. Promote your companies attendance at the show and take the opportunity to entice your potential clients with the promise of a great giveaway. Once at the show your giveaways are great for attracting new prospects, they can be used to generate new leads that you can potentially convert into a sale. They are also ideal for use at the end of a conversation with your visitor, they can be given as a thank you for the visitor’s time on your stand. This can be the start of a new business relationship! Your giveaways should be chosen once you have decided on your goal and business objectives. If it is your business goal to simply raise brand awareness then ideally a useful but lower cost giveaway will suffice. If your goal is set a little higher for example: if you wish to connect with a handful of VIP guests then something with more value and higher quality is needed. Making sure your giveaway can be used time and time again is vital. Your giveaway must have an extended shelf live i.e. not be thrown in the bin after one use! Every business man or woman has a desk, whether it is at home or in the office, they do their work at a desk. Therefore an ‘on the desk’ item provides you with an opportunity to remain at the fore front of their mind at the times they are focused on work and when they are in need of new business suppliers. 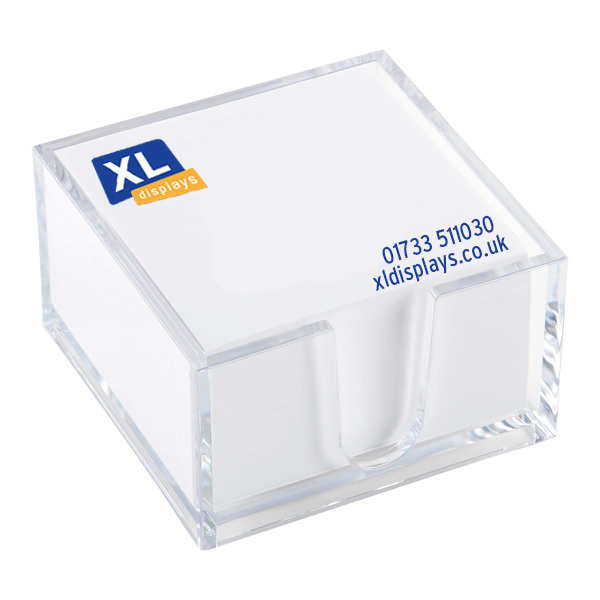 Desk stationery is useful, holds value and everyone wants it for free rather than it coming out of their own budget. With this in mind when deciding on the right giveaway for your brand always remember ‘on the desk – on the mind’ and your giveaway will prove to be successful in gaining you new business. We have come up with some giveaways that you should consider for your next exhibition or tradeshow. It’s a timeless classic, something that will always be useful and it’s an item that everybody needs. 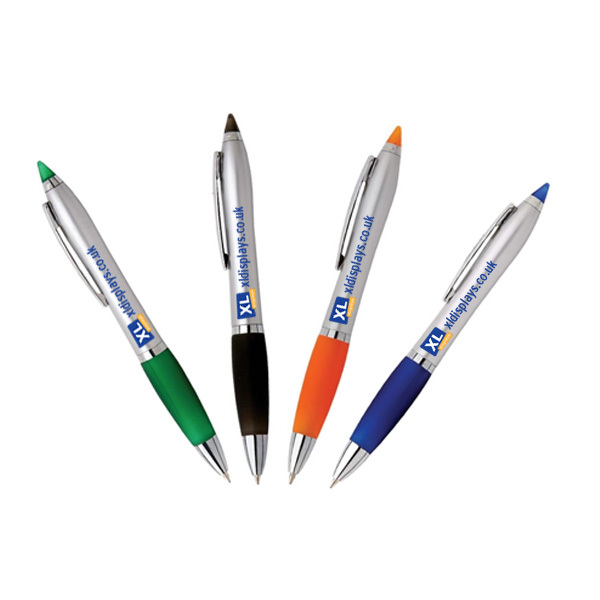 When selecting your pen remember that it is representing your brand. A cheap pen with a thin and flimsy construction will break and be thrown away, or even worse it won’t even get used! Preferably a metal construction with a twisting mechanism is better than a plastic pen, especially with a clicking mechanism as these are known for failing. 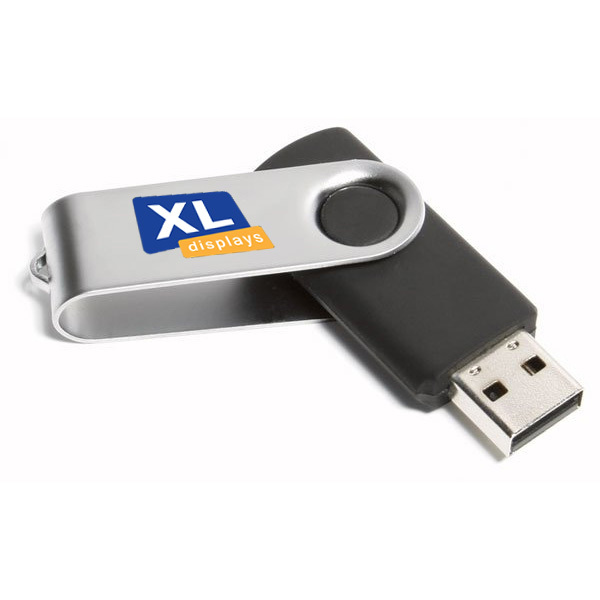 These are a great giveaway as not only can you engrave or print your logo on to them, but you can also add your company brochure and details to the USB memory. You also have the option of locking them so that your details can not be deleted or removed from it. It’s a good idea to ensure the memory on them is large enough so that a customer can add their own work to it, as well as keeping your brochure and company details on. If the memory is not enough for practical use then the likelihood of it is it won’t ever be used, it will end up in the bottom drawer or the bin. These are a very popular giveaway, one with value and demand. Not only are they a small and sleek mobile charger that is extremely convenient for everyone who carries a mobile device, they will represent your brand in a professional manner. Embossed with your company logo on and contact details these will be forever in need. 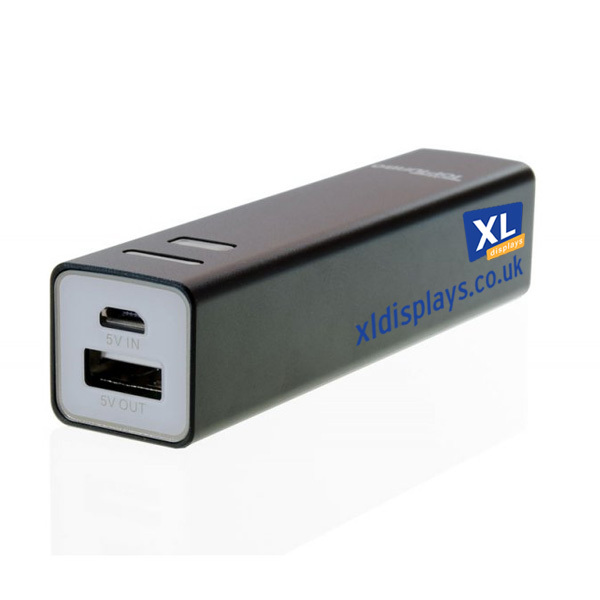 Ideal for your busy customers who are always on the go, this handy device allows them to charge their smart phone and other mobile devices whilst on the go without the need of a plug socket. Back to the saying ‘on the desk- on the mind’ desk note blocks are a valuable and useful giveaway. It comes down to what will be used by your customers. Think about when you are working hard at your desk, with calls and messages flying here and there, note blocks are handy and will always be used. It also provides you with more promotional space to sell your business and services, and has the advantage of repeat use. Without realising your brand will be at the front of the cue when decisions are being made. They’re classic, and for good reason; everyone uses them! 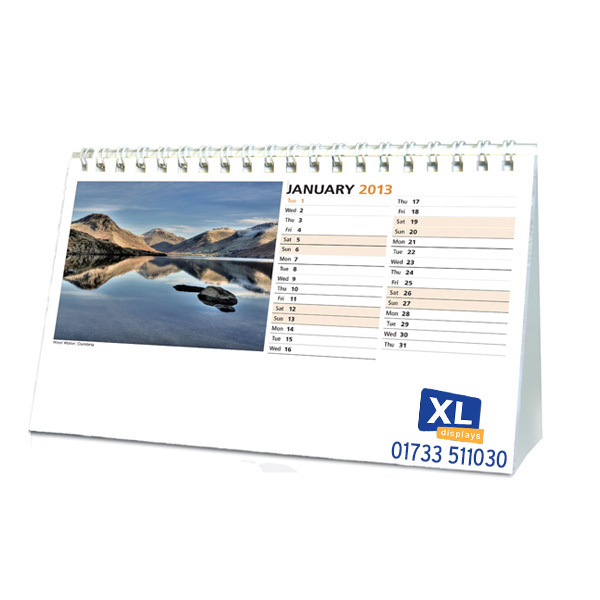 Because they will be seen every day, a calendar is an excellent way to keep your company in a potential customer’s memory. These are a great giveaway but pointless if you are handing them out mid-year. This is where your planning is key, even if this is added to next year’s exhibition plan, it is a great promotional giveaway. This is a big no no! One reason being when the food has been consumed your branded wrapper or carton will go in the bin, along with the memory of your products and services. It can be messy if people are not careful and may be considered a nuisance, you may even find some food types are prohibited from the show, so be sure to double check. Whilst you may think these are useful and people will use and use again, most companies provide their employees with their own company branded lanyards. A few here and there may be used but on the whole this is one to avoid wasting your budget on. These are totally useless in terms of business use, it may possibly get taken home for the kids to play with but as a rule I would avoid branding stress balls and handing them out as your giveaway. They do not send out a very professional message. These aren’t all together one to avoid, they are just not ideal for big exhibitions and trade shows. They can be bulky and difficult to carry round with you all day. Most visitors at an exhibition will be standing and walking around all day, they don’t want bags full of big bulky items to carry around. It is likely they will either be dumped in the bin or end up broken. These however are great for sales managers visiting existing clients or new clients. Most people drink tea and coffee throughout their working day so it is a nice useful giveaway to have behind you, it’s just for a more target audience. Unless you are giving away a premium metal engraved keyring which can be quite pricey, then a keyring isn’t a worthy giveaway. Yes they provide you with some space for some great marketing but will they really be used? In most cases business people will have minimal key bunches and wouldn’t even consider adding your branded keyring to their keys. It is likely to end up in the bin and will not create a lasting impression. When planning your exhibition or tradeshow it is important to get all of the elements right, the success is in the planning. It isn’t just about having a well-designed pop up exhibition stand or roller banner although these are extremely important factors and will decide on the success of your event, it is the smaller things you need to consider too.